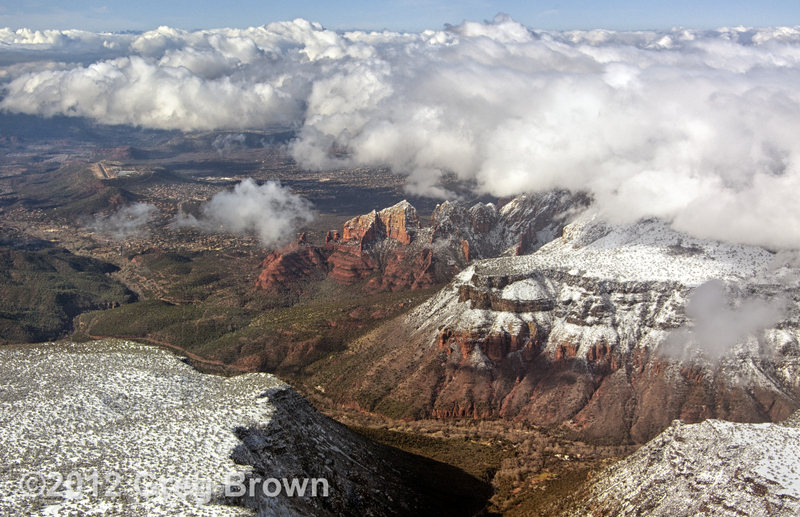 Alabaster snow on crimson rock is always a visual treat for Sedona residents and visitors, but from high over the surrounding Coconino Plateau the contrast is even more dramatic. On this day, a routine flight from Mesa to Flagstaff turned magical through a perfect sprinkling of low clouds and sun. From aloft, the sight also plays up the altitude difference and resulting temperature spread between plateau and valley. 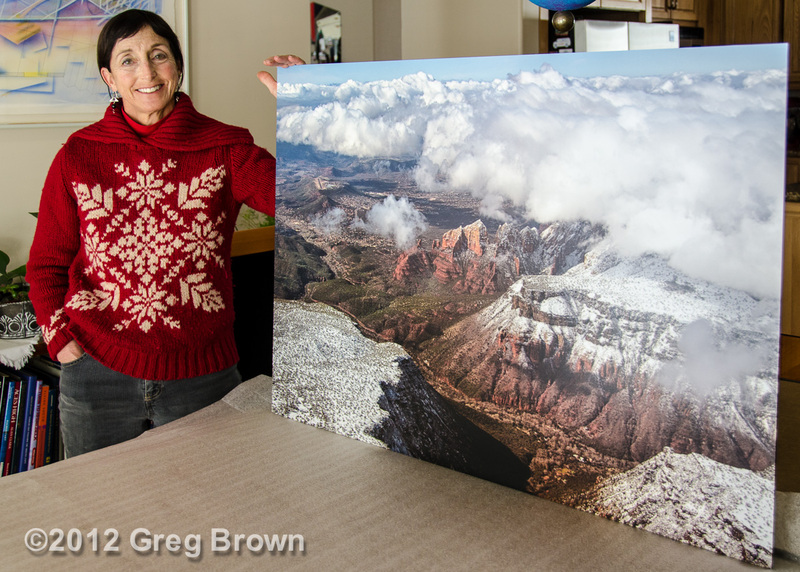 Snow often garnishes the 7,000-foot-elevation plateau and associated pinnacles, but rarely the 4,800-foot town. Finally, aviators will appreciate the distant glimpse of legendary Sedona Airport on its mesa overlooking town. The “aircraft carrier” runway is a bucket-list landing site for pilots around the globe. Beautiful Greg, and I love that SEZ is so clearly in view. I loved my hour of flying there. Awesome photo, Greg. Phil would have loved it. Stratocumulus on the rim! Beautiful!